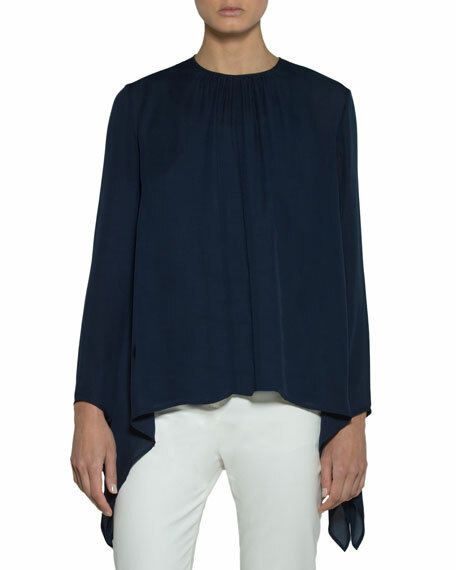 Eleventy blouse in silky chiffon. Gathered crew neckline; button/keyhole back. For in-store inquiries, use sku #2695474.